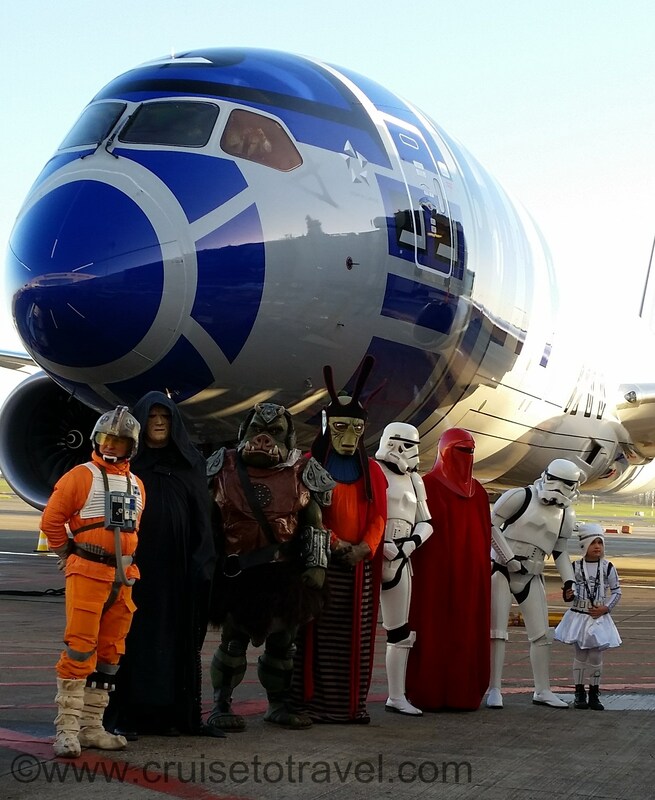 Today was a great day at Brussels Airport as ANA – All Nippon Airways, the largest Japanese airline, executed its daily flight between Brussels and Narita/Tokyo with the R2-D2 ANA Jet. 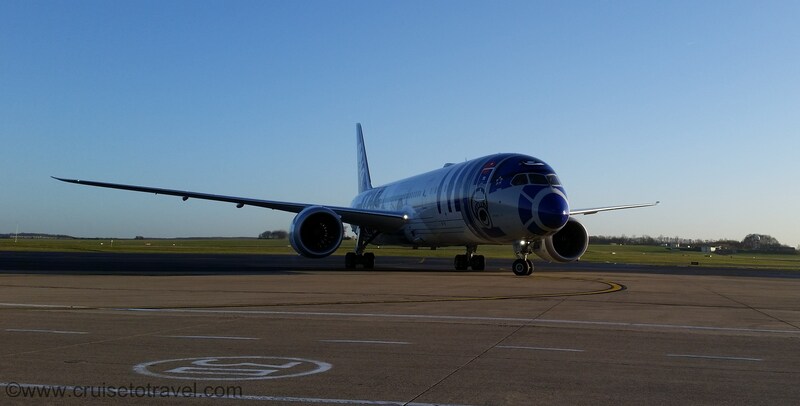 The R2-D2 ANA Jet is one of three planes to be decorated with Star Wars characters as part of an agreement between ANA and The Walt Disney Company. 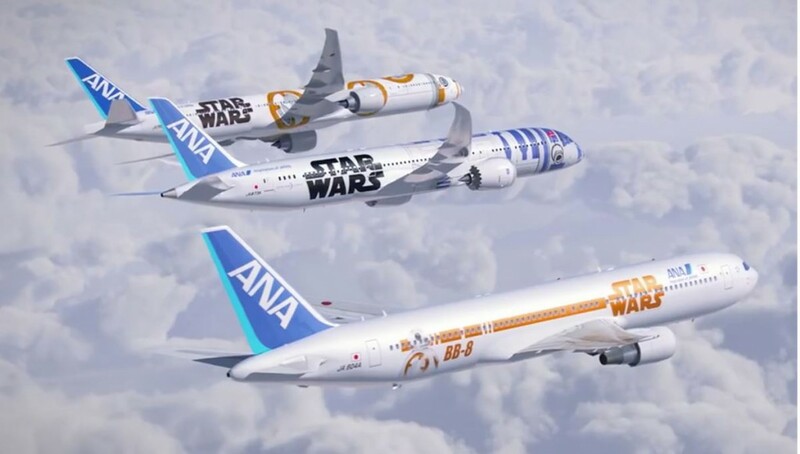 Two additional planes decorated with BB-8, a brand new character from the upcoming “Star Wars: The Force Awakens” join the R2-D2 ANA Jet. The first, a Boeing 767-300, flies domestic Japanese routes, while the third, a Boeing 777-300ER, is scheduled to serve international routes between Japan and North America. The R2-D2 motif is imprinted onto the cockpit and front half of the jet’s main fuselage, while the Star Wars logo spans the length behind the wings. 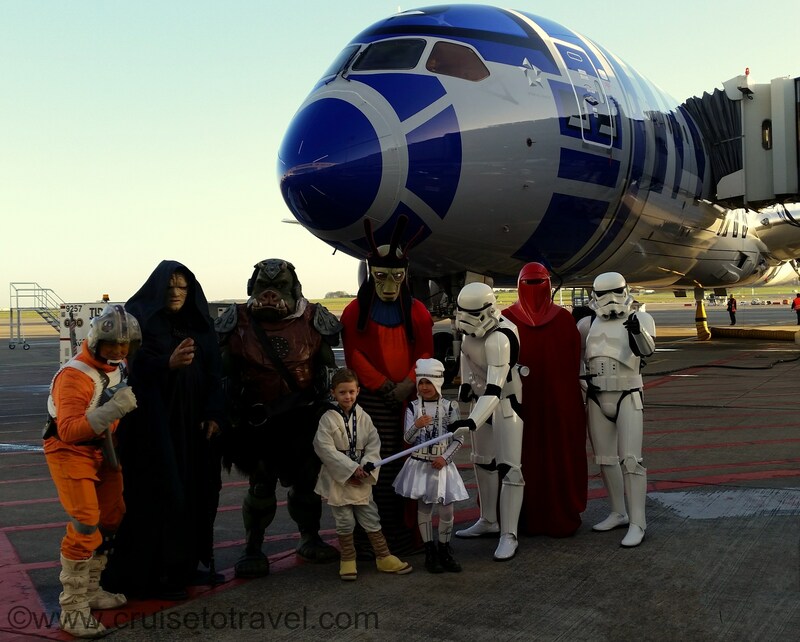 As part of the 5 year promotion license contract for the Star Wars brand, the ANA Star Wars planes also display in-flight decorations, such as headrest covers, paper napkins and cups featuring Star Wars characters. 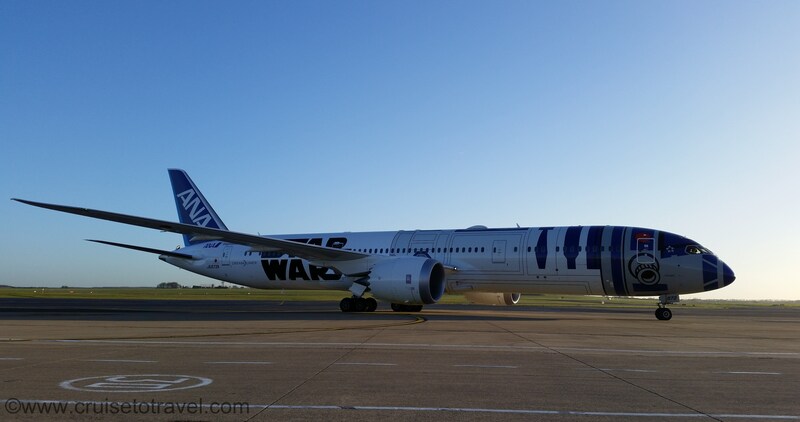 The partnership also means ANA will be the only airline in the world to offer all six of the currently released Star Wars films as part of its in-flight entertainment. Today marked the third, and possibly final, visit of the special ANA Dreamliner to Brussels Airport. Previous MSC Splendida – Booked!